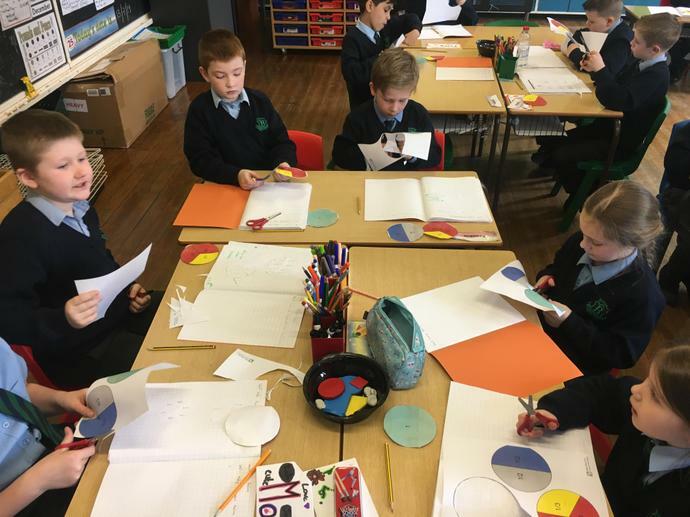 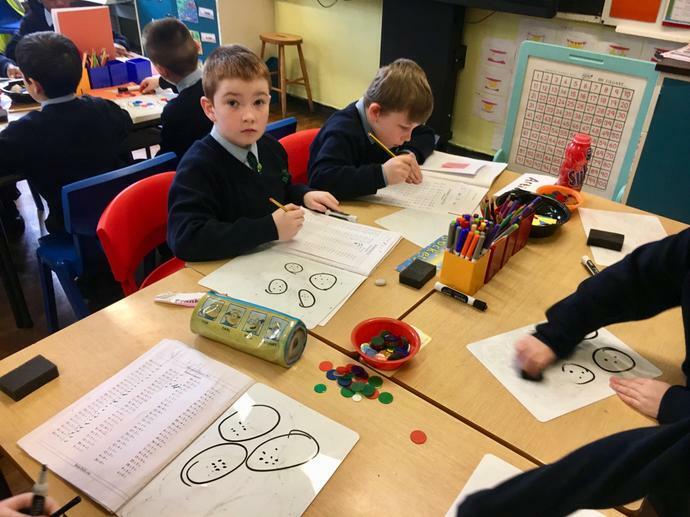 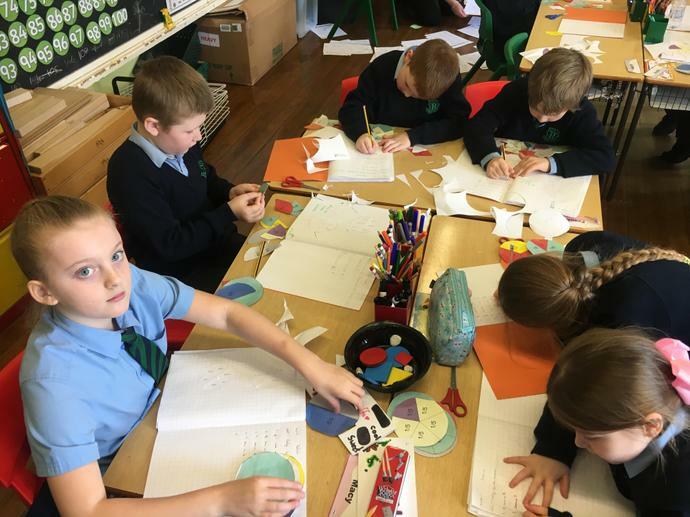 P4 problem solving and discoving equivalent fractions. 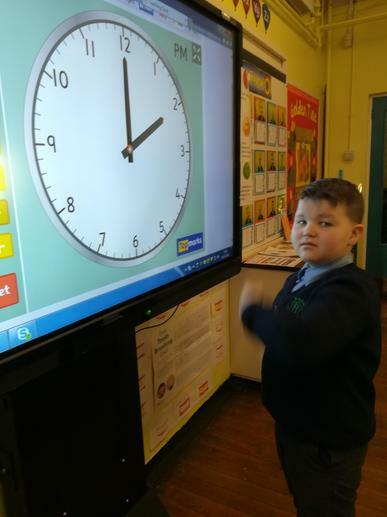 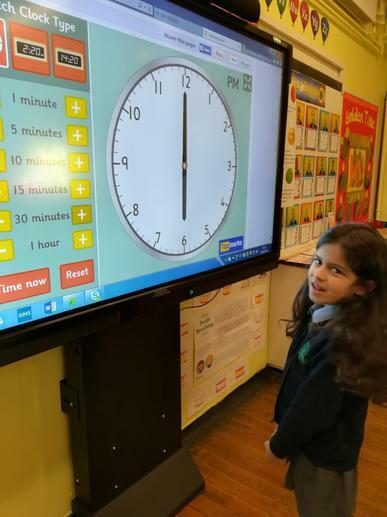 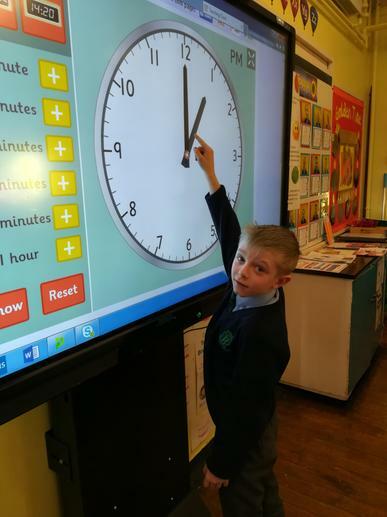 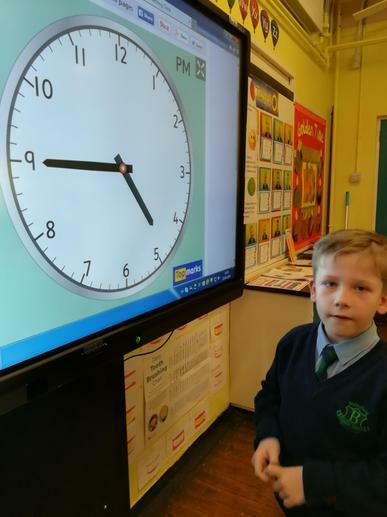 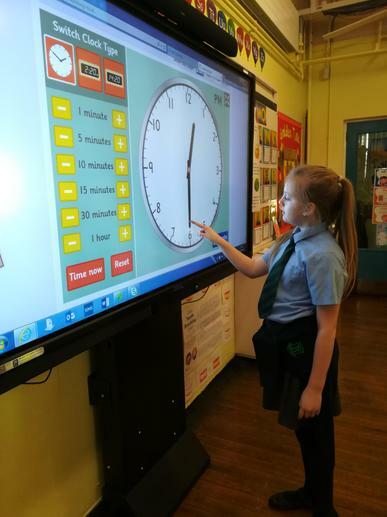 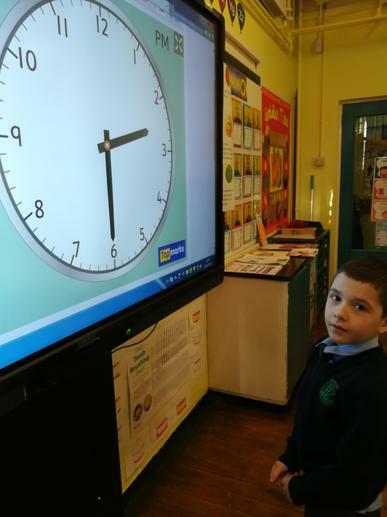 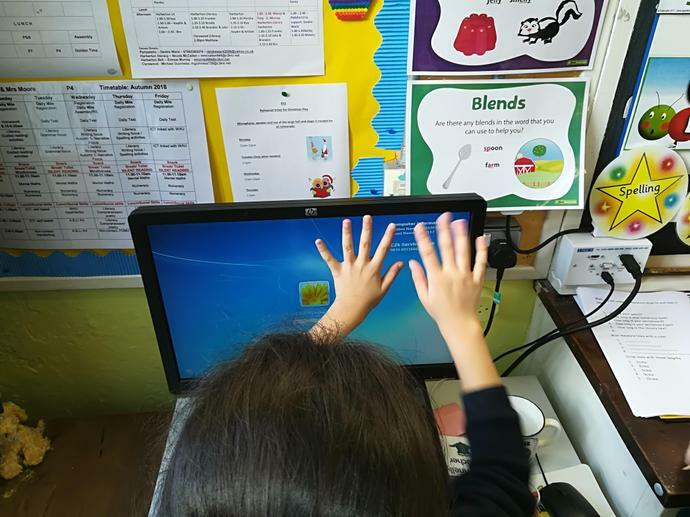 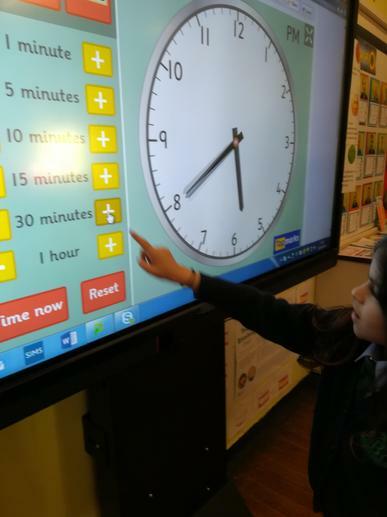 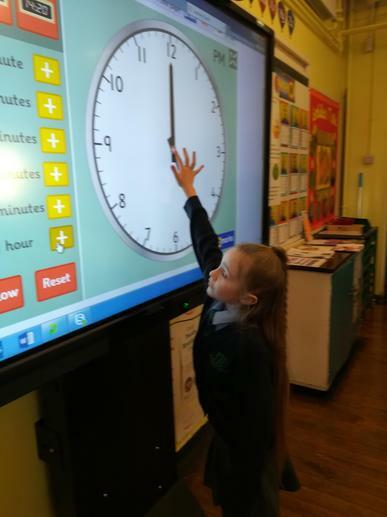 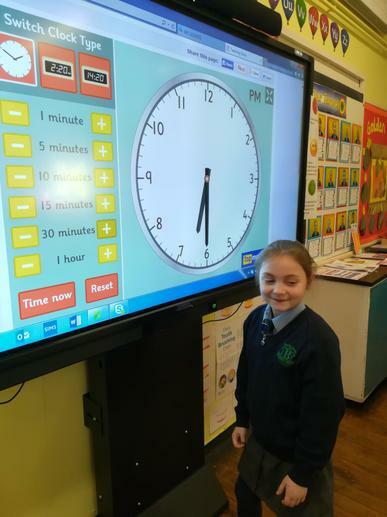 Time- P4 using the interactive whiteboard teaching clock. 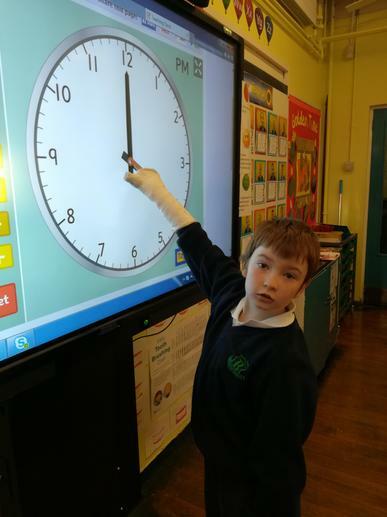 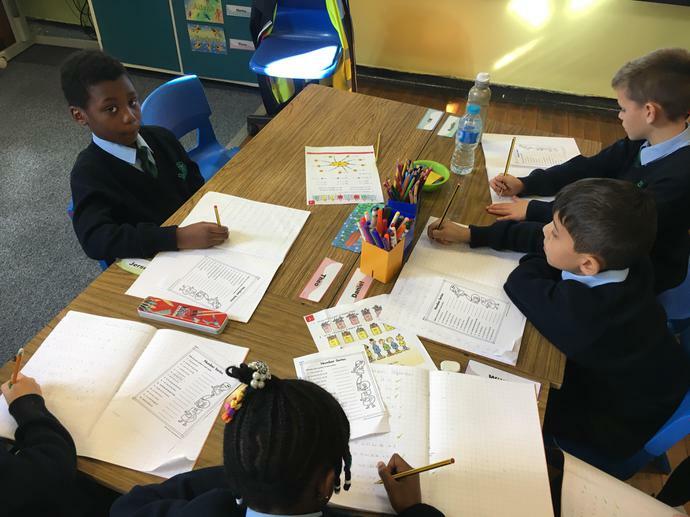 They have been learning to read analogue and digital times. 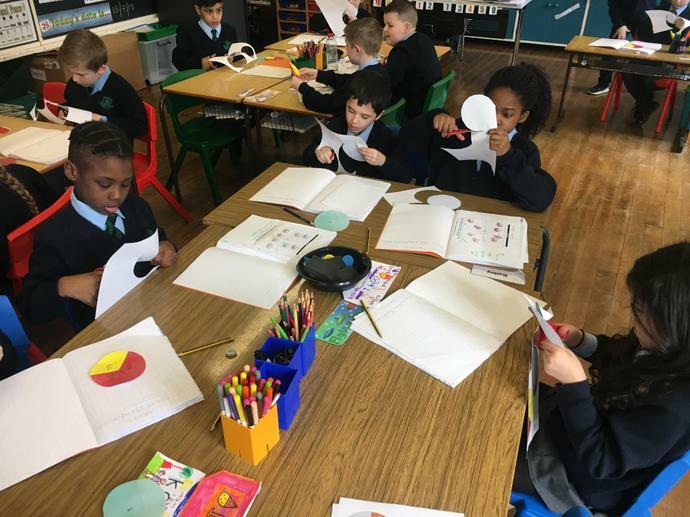 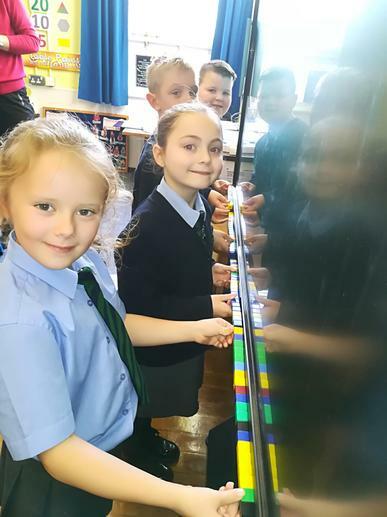 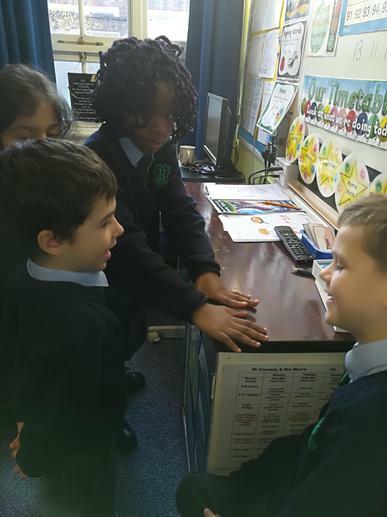 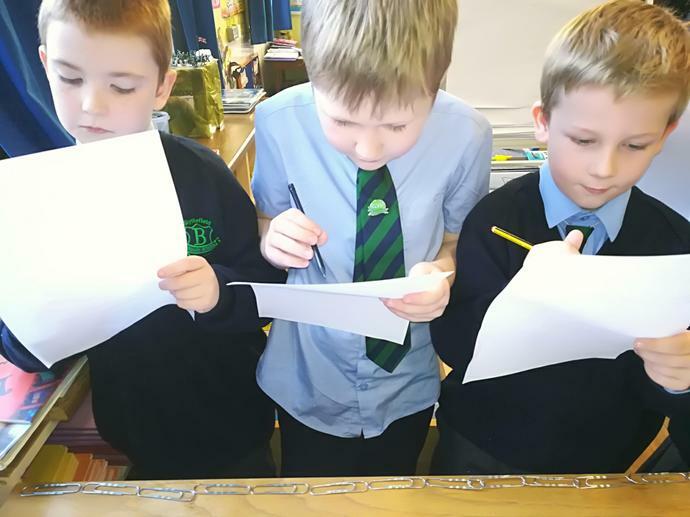 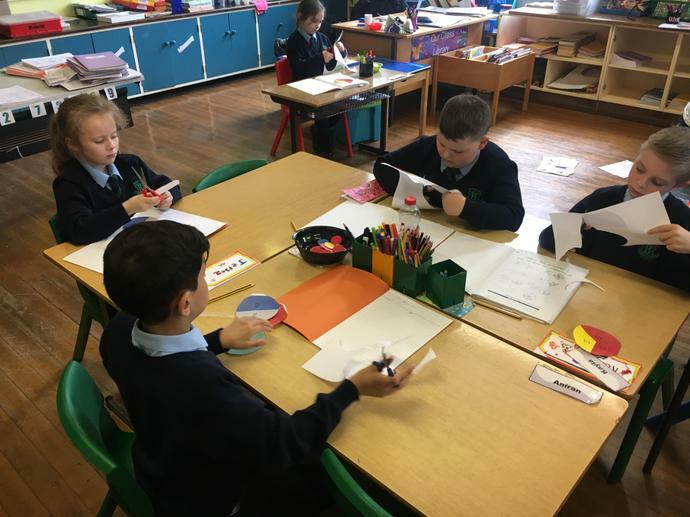 Measures- P4 learning about measuring classroom objects and finding out about using a standard unit. 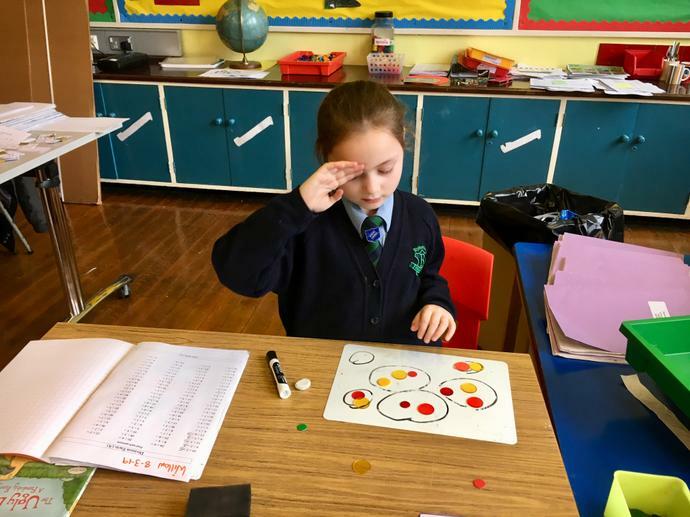 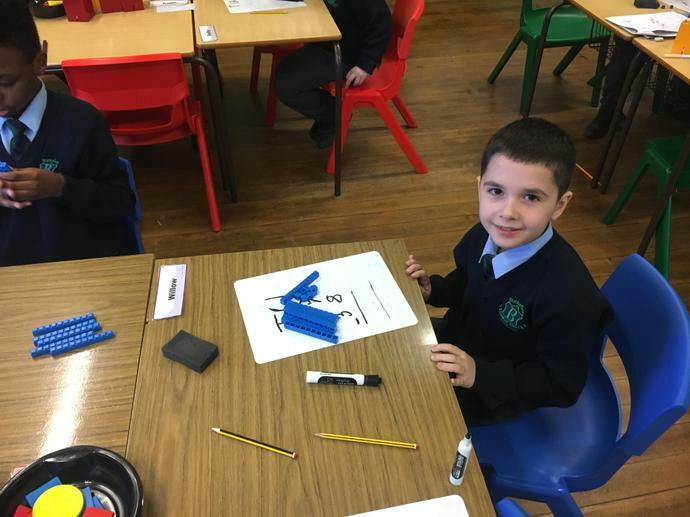 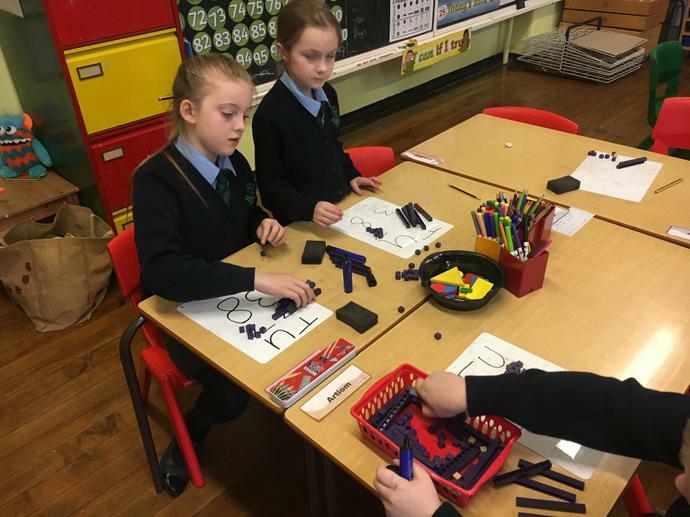 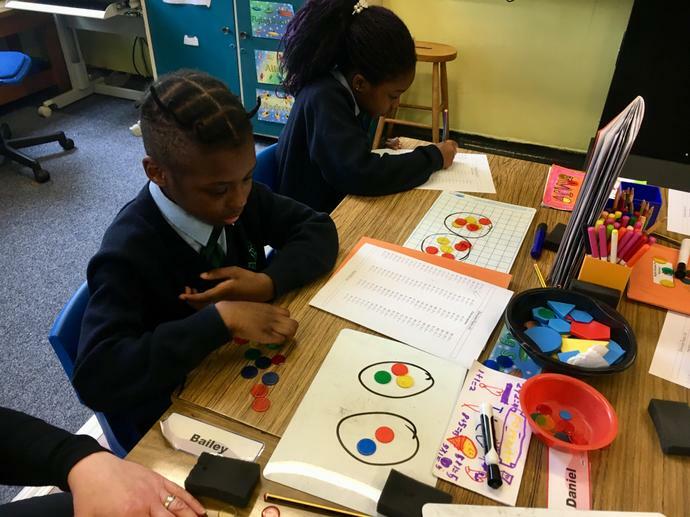 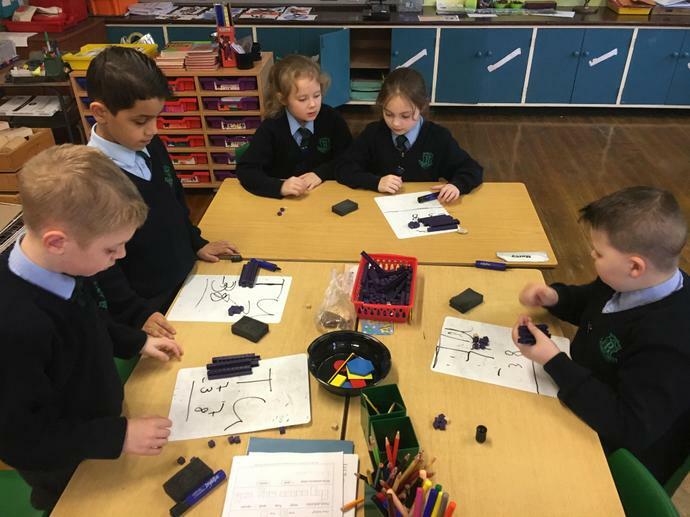 P4 developing decomposition skills using dienes for further concrete development. 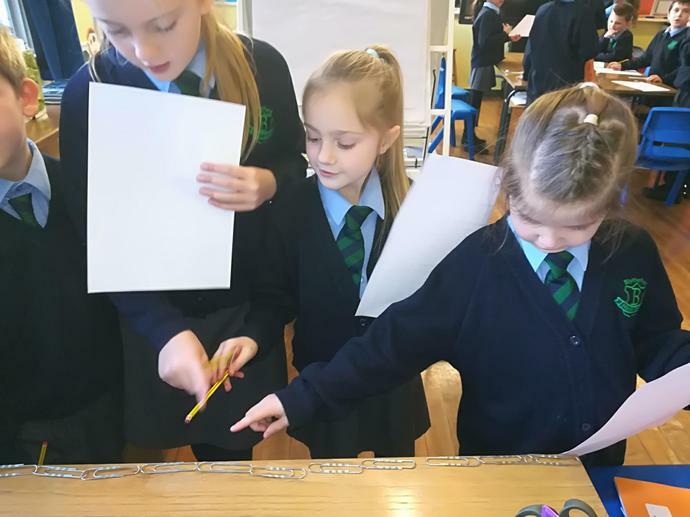 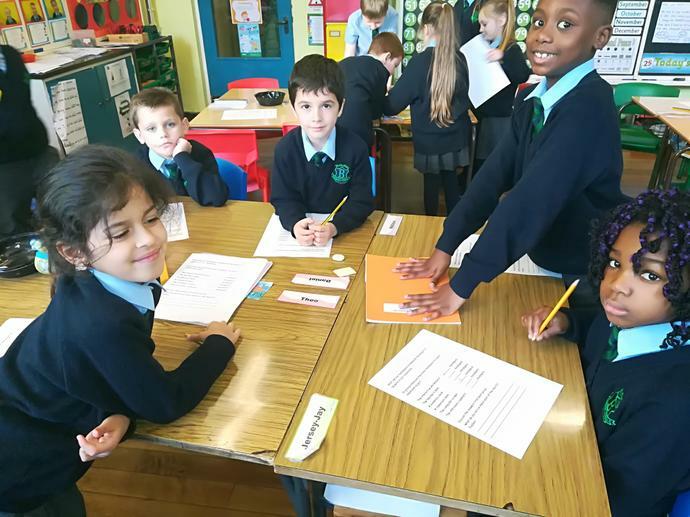 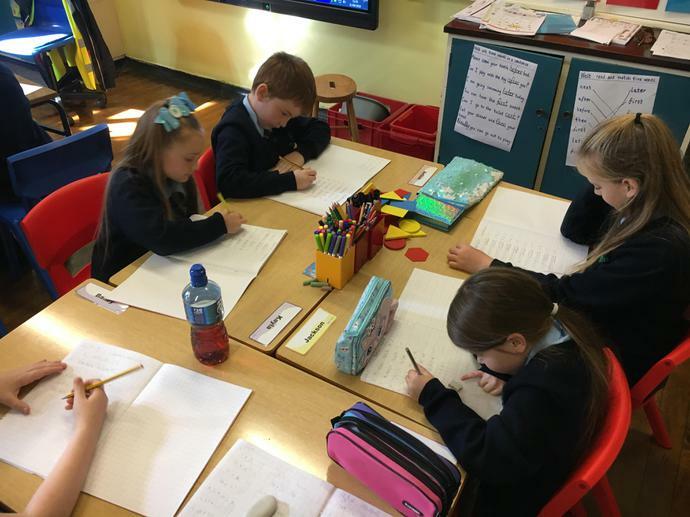 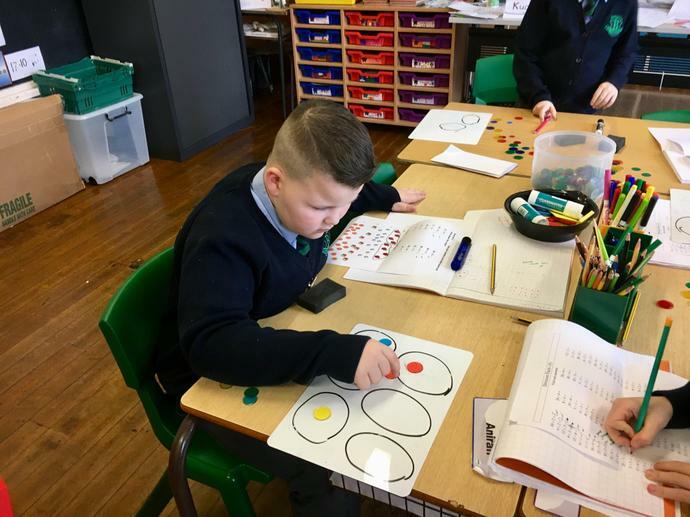 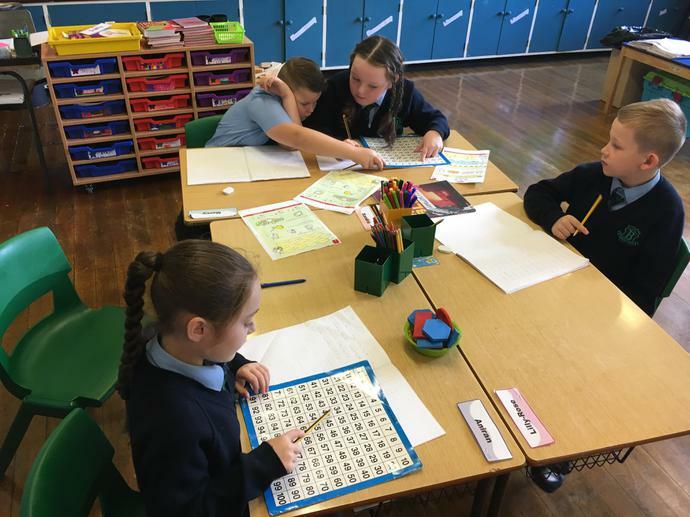 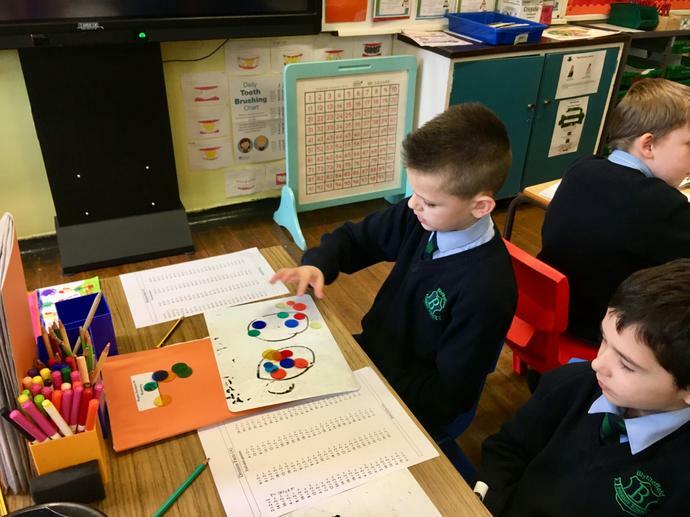 P4 learning skills to workout number sequences.